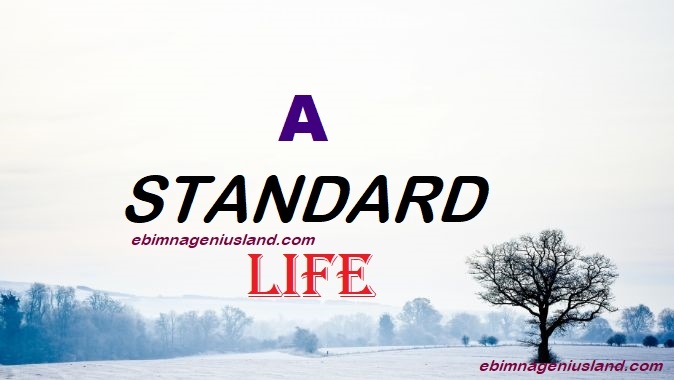 A standard Life is a life of greatness and positivism which empowers mankind to enjoy the best of life in a better mode of jingling and Perfection. It is necessary for everyone to live a standard life is determined. When one is determined to live a standard life, you are expected to work towards and make it work out for you in a positive way. The examinations of life before u enjoy a better one is not for you to fail. It is simply to taste your ability and capabilities to know you can offer to those standards when you get them. Many have failed to give life what life requires and they kept on giving to themselves what they don't like taking from life. The standardization of interests needed to create a lifestyle is on a better outfit. Therefore, for you to enjoy a peaceful moment of life, you must be a determined one of course. In life, so many people are destined to be great, rich, outspoken, and brave. If you discover that you are not among the destined, you just have to be among the determined, and if you are not in the group of the both, you will remain a failure. Make the best of your life today and leave a standard life. Its never gonna be easy, the reason is that nothing in life comes so easy. It takes a brave and courageous mind to achieve the unachievable, and do the undoable. Now, let ebimnageniusland give you some brief models of living a standard life today. The discovery of who one is the number one way of planning to live a standard life. Many are talented to a breakthrough in life, but when you have not discovered your talent you keep the beating around the Bush. Discovery of own self is a generic strategy that booms who you are, only if you are willing to do it. That's what we call determination. For you to be a contributor, it must be a contributing word of what you know, and something that must have to yield fruit, it helps you keep being known by people, you don't even know, and also to some, who might want to give you an opportunity to stand in gap only for them, or you might as well be a representative, in order words, establishing yourself in living a wall grew and standard life. This is something very great. Give it the trial. When you are talented, and you discover the amount of talent in you, and you kept ignoring it, thinking that it's never gonna take you anywhere, sorry, you are taking a wrong decision. Your talent is what announces you to your world, may ignore the talent of dancing saying that there already too many dancers, who are greatly well known. Well, That's true, but you have to take a step of faith and watch things happening for you, no time is late, you can still start it now. 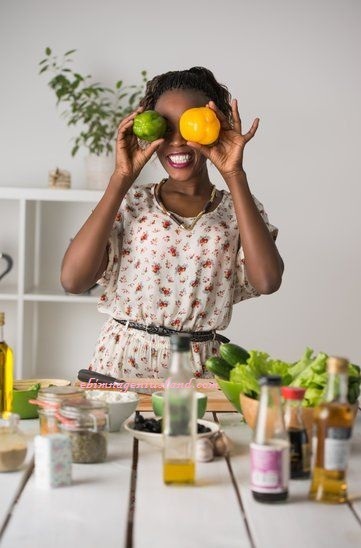 Many people think that living a standard life is all about spending money rascally in a wrong way or in a pleasurable way, it's the worst decision you will ever make. Before you spend any money outside, you must have to prepare and ask yourself many questions. I strongly believe that the amount of contacts you keep, are the things you desire in life, if you desire to make it in life, the kind of contacts you are expected to keep is the contact of people that have already made it or people who also have greater plan of making it in life, and not just having the plan, make contacts with people who act towards their tomorrow. This is very important! ADVICE: Finally, If you must live a standard life, you have a personal decision, from the debt of your heart, desire what you need and work towards it, no matter the number of discouragement people give you, ignore them and works towards your dream. The greatest achievement you will ever have in life is the one you gave to yourself. The first step is always to take ownership of one's own destiny. Define your goals and work towards them, you will be sidetracked and distracted along the way but if you stay focussed you will arrive at your destination at some point for sure. This am amazing post and I really like the Advice part. Ofcourse Andrew, Everyone in life needs to focused in life to make it. This is a very inspiring and lovely post. I think that the message is very strong. This was so helpful! Especially the spend less and make use of your talent! Thank you Dr. Elise. Am happy you loved the post. You are always welcome Joy. So insightful! I can certainly benefit from this. All your words ring true and are so empowering! Thank you for sharing such wisdom. Of a truth, I have finally discovered a blog that feeds me wit positive food of thoughts and courage. Thank you so much ebimnageniusland. Samuel You are always welcome!